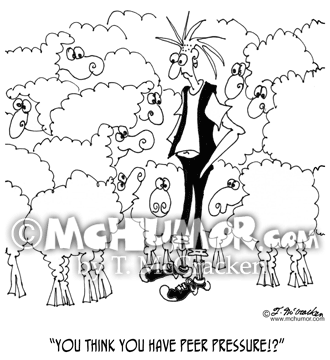 Teenager Cartoon 6777: A sheep says to a teenager, "You think YOU have peer pressure!?" 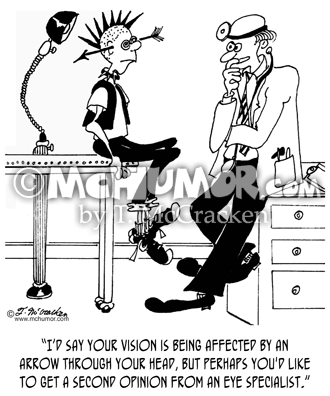 Medical Cartoon 7114: A doctor saying to a punk with an arrow through his head, "I'd say your vision is being affected by an arrow through your head, but perhaps you'd like to get a second opinion from an eye specialist." 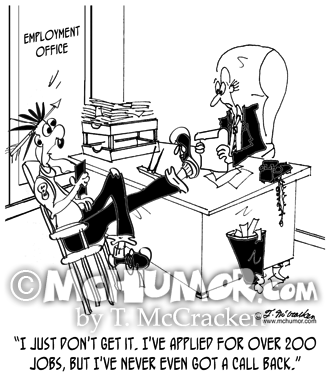 Employment Cartoon 8551: A teen with revealing tube top, spiked hair, an arrow through his neck, ripped jeans and his feet up on the desk of an employment officer says, "I just don't get it. 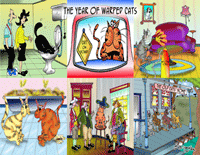 I've applied for over 200 jobs, but I've never even got a call back." 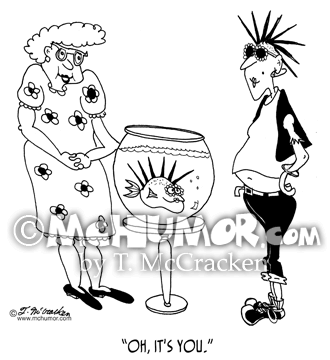 Fish Cartoon 4842: A woman looking at about a fish with spiked fins says to a teen with spiked hair, "Oh, it's you." 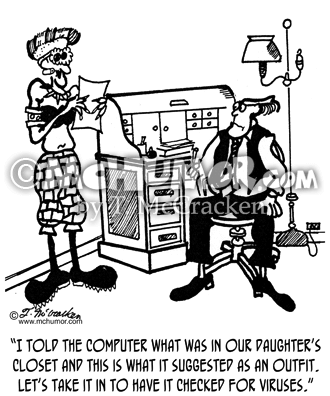 Fashion Cartoon 3591: A woman wearing odd clothes says to her husband, "I told the computer what was in our daughter's closet and this is what it suggested as an outfit. 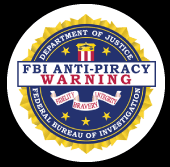 Lets take it in to have it checked for viruses." 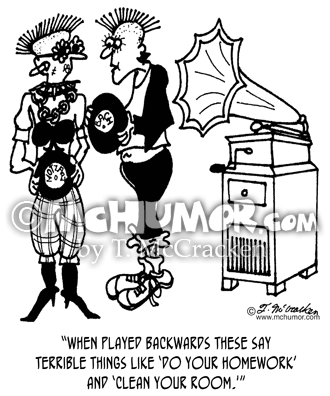 Music Cartoon 3814: Punk kid holding a gramophone record saying to another, "When played backwards these say terrible things like 'do your homework' and 'clean your room.'" 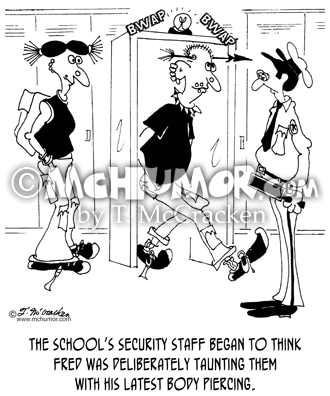 Security Cartoon 6966: "The school's security staff began to think Fred was deliberately taunting them with his latest body piercing." A punk with an arrow through his head walks through a metal detector. 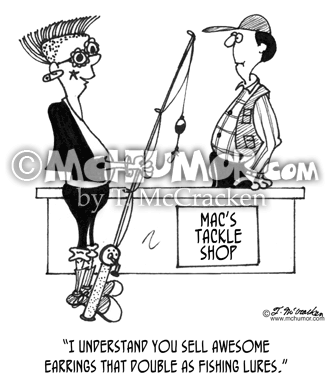 Fishing Cartoon 4203: A punk in a tackle shop says, "I understand you sell awesome earrings that double as fishing lures." 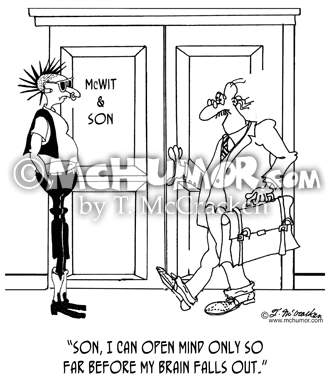 Tolerance Cartoon 0490: A conservative man entering a business, "McWit & Son," says to a punk, "Son, I can open mind only so far before my brain falls out." Tattoo Cartoon 4794: A punk being tattooed with a barcode at "Tattoos 'R Us."